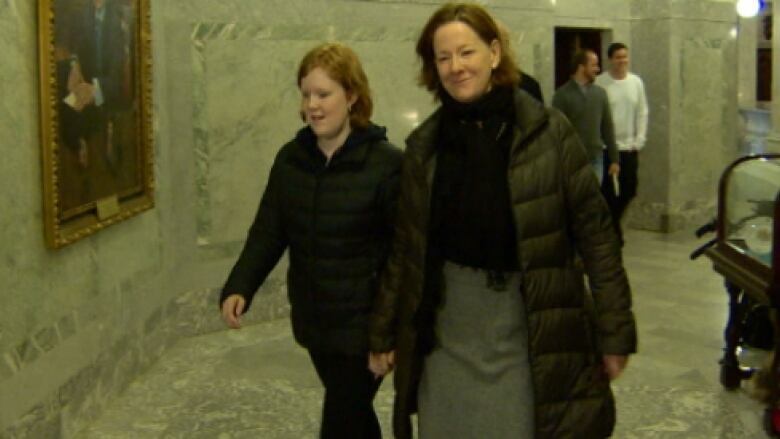 The plans to build a luxury penthouse suite for former premier Alison Redford within the Edmonton Federal Building extended into late 2013 and deputy ministers from several government departments knew about them, documents show. The documents, obtained by CBC News through freedom of information, cast doubt on Infrastructure Minister Wayne Drysdale’s claim that, as far as he knew, the apartment plans were abandoned in November 2012. In late March, CBC News revealed Redford had personally ordered a luxury, taxpayer-funded suite to be built on the top floor of the provincially owned Edmonton Federal Building, currently under renovation. The design included a guest hosting and lounge area, a private study and work space, and “sleeping and grooming quarters with clothing storage for an adult and one teenager.” Redford has a young daughter. 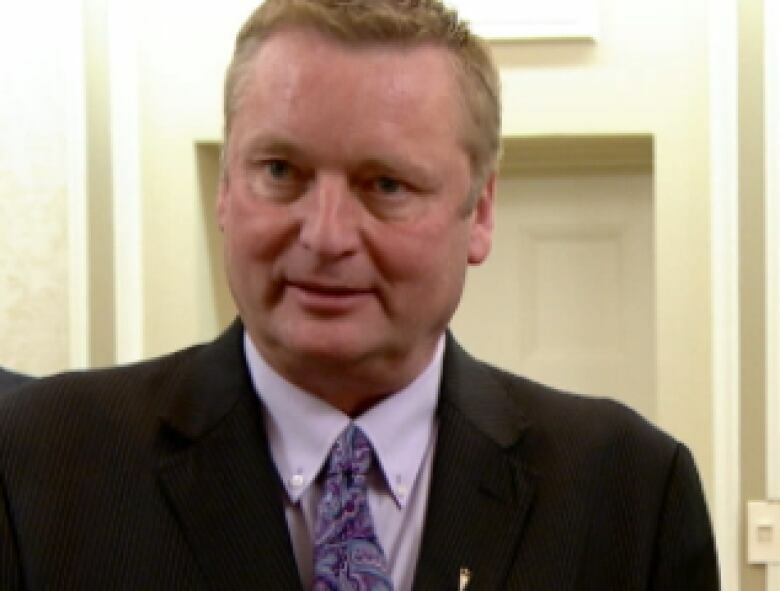 Wayne Drysdale was sworn-in as infrastructure minister last week after Ric McIver stepped down to run for the leadership of the Alberta Progressive Conservative party. This is the second time Drysdale has held the post. (CBC)The government has never explained exactly when the plans for the suite were scrapped, why, or how much it would have cost. Documents recently tabled in the legislature show the consulting work alone cost taxpayers $173,000. When CBC News broke the penthouse story in March, the infrastructure minister at the time, Ric McIver, said he had heard “rumours” of the suite when he took over the ministry in December 2013. McIver said he toured the Federal Building a month later and ordered staff to scuttle any plans for the apartment. That directly contradicted the account given by Wayne Drysdale, McIver’s predecessor as infrastructure minister. “As of November 15, 2012, my understanding was that these (apartment) plans were abandoned in favour of two boardrooms and additional hosting space,” Drysdale said in an emailed statement. But internal emails show Drysdale’s deputy ministers were discussing the apartment as recently as October 2013. Nelson sent the email to the deputy minister of executive council, Peter Watson, and Kim Armstrong, then a deputy minister with Alberta Justice. Executive council is the ministry that includes the premier’s office. Nelson’s predecessor as deputy minister of infrastructure, Ray Gilmour, was also involved in coordinating plans for the suite. Gilmour also worked for Drysdale during the planning of the penthouse. In an April 2013 email sent to both Watson and Gilmour, Armstrong, then the deputy secretary to cabinet, wrote: “The Premier (or one of her staff) had earlier asked about the maintenance of the Federal Building. Most of the maintenance will be contracted out. Wildrose leader Danielle Smith said it is absurd for Drysdale, and other cabinet members, to claim they had no knowledge of the suite past November 2012. “The deputy minister of justice, the deputy minister of infrastructure ... all knew what was going on,” Smith said. “Clearly, they would have been under obligation to brief their ministers." “So for everyone to try to pretend that they didn’t know it was going on, it has no credibility,” Smith said. Way said that, “at no time did Minister Drysdale indicate that he ‘put a stop to’ or cancelled plans for private space for the Premier on the 11th floor of the Federal Building. “He simply indicated that as of Nov. 15, 2012, his understanding was that plans for this space included boardrooms and hosting space,” she said. Way did not respond when asked to confirm that Drysdale had no knowledge of the discussions involving his deputy ministers. Last week, Drysdale was again named minister of infrastructure, following Ric McIver’s resignation to run for the Conservative leadership. Liberal Leader Raj Sherman challenged Drysdale to be honest with the public about his involvement in the penthouse plans. “The minister owes Albertans an explanation as to why he misled Albertans on (the suite),” Sherman said. Smith said the documents obtained by CBC News clearly show Drysdale and other cabinet ministers knew about the Redford apartment while publicly claiming they didn’t. “They all protect each other’s backs, even when they are doing things that are clearly wrong and offside with the public, and wasting taxpayer dollars,” Smith said.